In 1558 John Calvin held a prominent position of leadership in the Reform movement. He had written prolifically and his works had been widely circulated-and critiqued. It was at this time that he penned an answer to a critique of his position on divine providence, as articulated in the 1546 edition of the Institutes. 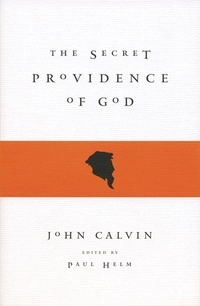 His polemical defense of his beliefs, The Secret Providence of God, reflects the boisterous, argumentative tone of the Reformation era and is Calvin’s fullest treatment on this most important doctrine. Unfortunately, in recent decades this work has been largely forgotten. With this new English translation of Calvin’s work, editor Paul Helm reintroducesThe Secret Providence of God to students, pastors, and lay readers of Reformed theology. Translator Keith Goad has modernized the English while preserving a Latinized translation style as far as possible. Helm has provided a full introduction, discussing the work’s background, content, style, and relation to Calvin’s other writings on providence.